I am hardly afraid to touch black holes; I don’t feel any more time should be wasted on them than already has been. That “artillery officer” you mention is none other than Pierre-Simon Laplace; in fact, he was simply an examiner at the (French) Royal Artillery Corps, appointed because of his prior academic achievements. He first raised the possibility of what was then called a “dark star” in 1796. The idea was first raised, however, in a letter from the British geologist John Michell to Henry Cavendish, in 1783. The whole notion of the existence of black holes is based on the naive assumption that, if they can exist in the Standard Model of Cosmology, then they must exist. That assumes the Standard Model is the correct one, something which I dispute. Further, it is claimed that no quantum pressure can overcome the velocity of collapse of a super-massive star, something which I also dispute, and which, to the best of my knowledge, has yet to be demonstrated in theory. Finally (for now, probably), the LHC results already have people talking about the possibility of 2 new quarks, bringing the total to 8. If there is to be any symmetry between hadron and lepton physics, that will also require an extra lepton, plus a neutrino. The standard model of particle physics is a (bare) SU(3)xSU(2)xU(1) symmetry, with an ad hoc Higgs field tossed in to force particles to be massive, which otherwise they could not be. The bare symmetry alone should be enough to sound some alarm bells, as it is too complex: it can be embedded in SU(6), which, I believe, should be examined to see what else it contains. Maybe Higgs will arise there, maybe not, but any theory which proposes to be true, yet contains an ad hoc component, is automatically to be mistrusted. The same argument can be made, BTW, against general relativity. To summarize Paul Dirac: in the absence of a unified theory of interaction, every elementary interaction defines its own, intrinsic, notions of time and distance, and these are a priori completely unrelated to the time and distance defined by any other. Thus, electromagnetism, gravity, and gluons all have their own notions of “clock”, and no one can say that any one of them is to be preferred over the others. Each of these may be marching to the beat of an independent drum, and the only reason gravity is so weak compared with electromagnetism is because the universe is very old. The only reason we accept the electromagnetic clock as being somehow more “fundamental” is that we can see photons with our eyes and our experimental devices, but cannot directly view gravitons or gluons. This argument disposes of the strong form of the principle of equivalence — freefall in a gravitational field is still inertial motion (weak form) — and reduces it to, in Dirac’s words, nothing more than a midwife, necessary during the birth of a child, but no longer needed after. Strong equivalence is not something to be imposed on a theory by axiom; rather, it is something which should, if true, arise within a more complete, properly constructed, theory. What if black holes are not really holes? 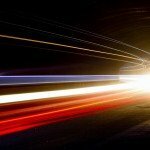 Is there something explicitly limiting the speed of light? 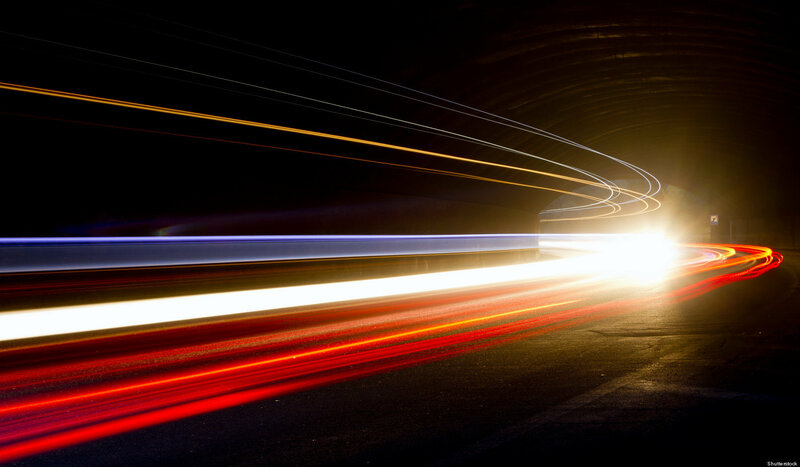 Has The Speed of Light Been Broken?